We Will Rock You closes at the Dominion in London's West End this Saturday after playing there for 12 years for the theatre to undergo some refurbishment before Irving Berlin's musical White Christmas opens there on 12th November (previews from the 8th) for a limited eight week run until 3rd January 2015. Aled Jones and Tom Chambers are starring as Bob Wallace and Phil Davis which were the iconic roles played by Bing Crosby and Danny Kaye in the film. White Christmas tells the story of two ex-army pals who team up with two sisters to put on a show to save their former General's remote Vermont ski lodge that's fallen on hard times. It includes the numbers Let Yourself Go, Sisters, The Best Things Happen When You're Dancing, Snow, Count Your Blessings, Blue Skies, Love You Didn't Do Right By Me, How Deep Is The Ocean, I've Got My Love To Keep Me Warm and White Christmas. The 30-strong cast at the Dominion Theatre will be accompanied by a 17 piece orchestra and also include Wendi Peters as Martha, Graham Cole as General Waverley and Rachel Stanley and Louise Bowden as the sisters Betty and Judy Haynes. Tom Chambers, Aled Jones and Wendi Peters have all appeared in various versions of White Christmas before. The production marks Holby City, Waterloo Road and Strictly Come Dancing star Chambers’ return to the London stage following his Olivier Award nominated performance in Top Hat. Rachel Stanley's London theatre credits include Crazy For You and Louise Bowden returns to the West End following her performance in Singin’ In The Rain at the Palace Theatre. 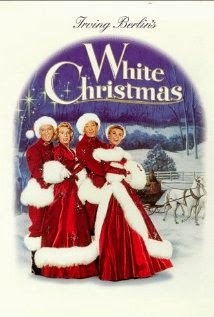 Irving Berlin's WHITE CHRISTMAS will be directed by Morgan Young with choreography by Randy Skinner. It is presented at the Dominion Theatre by Michael Rose and U-Live for White Christmas Onstage (UK) Limited, in association with Paramount Pictures.